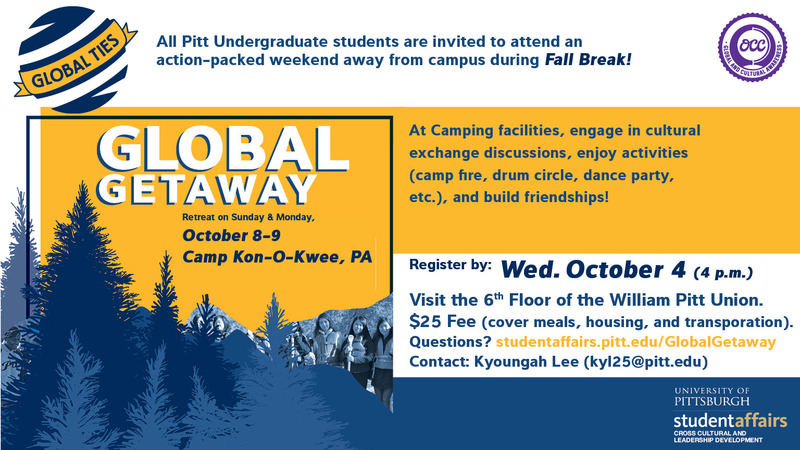 Registration for Global Getaway will open on September 11! Come to the 6th floor William Pitt Union to register for the 2017 retreat! 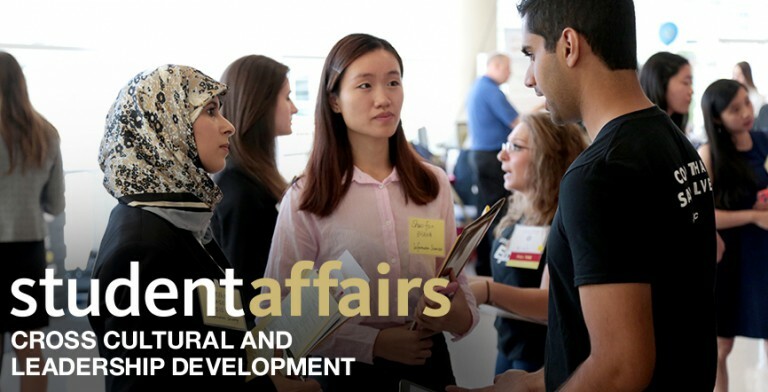 The Global Getaway Retreat is designed to support interactions between domestic and international students and the exploration of culture and commonalities. Students who participate in this retreat will attend an overnight camping facilities and participate in a variety of cultural exchange discussions, activities (i.e. campfire, drum circle, dance party, etc. ), and build friendships. The retreat cost is $25 and includes round-trip transportation, meals, activities, and overnight accommodations. Financial assistance is available.